Burgers are a family favourite in our house. Little one really enjoys them and they’re a great way to sneak some extra veggies in. Like many other processed foods, it’s always best to check the ingredients of shop-bought ones as egg is a popular binding agent. 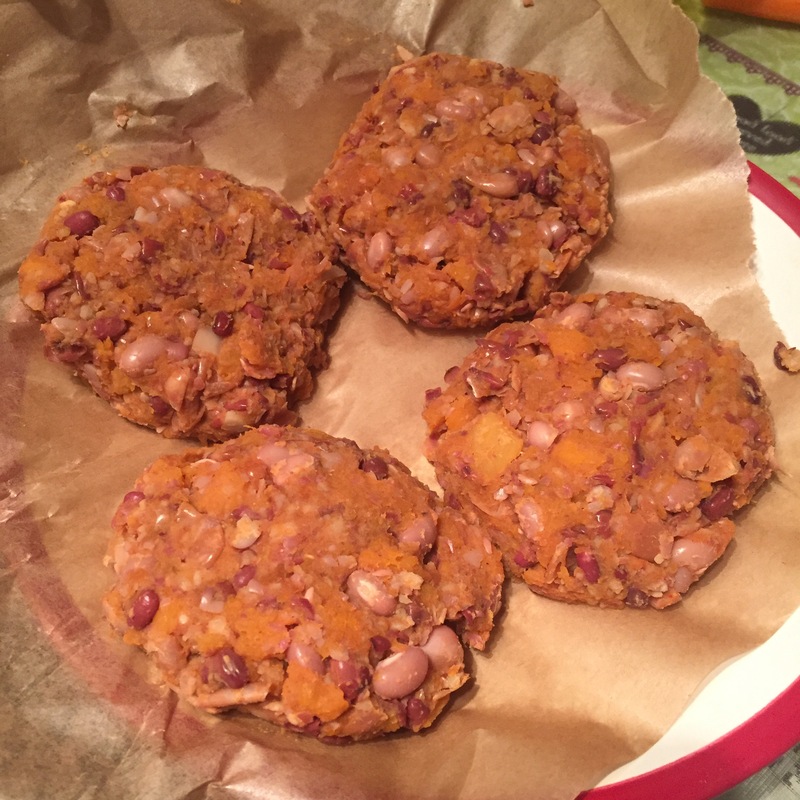 This recipe doesn’t use a binding agent as such as the sweet potato serves the same purpose. It’s also great for tweaking and adding your own favourite flavours by switching up the spices and herbs added. I used a tin of mixed beans, but you could use whatever beans you prefer. So as well as being versatile, tasty and healthy, it’s also vegan. Yay! 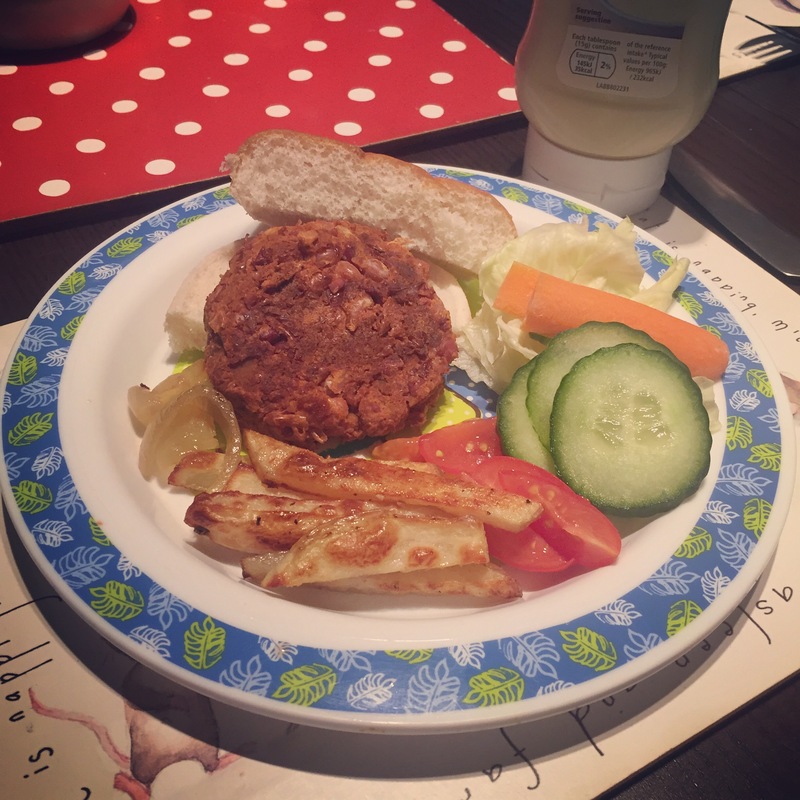 Another recipe which is suitable for Veganuary! In a large bowl, bring all the ingredients together. You can either mash them with a potato masher or used a food processor. I prefer a chunkier texture, but it is really down to personal taste. Divide the mixture into four even portions for burgers. You could divide these again into three smaller portions making a total of 12, if you wanted bite sized pieces instead. Roll the portions into balls and press to make burger shapes. I then pop them into the fridge to chill before cooking. When you’re ready to cook the burgers, remove them from the fridge and preheat the oven to 200c. Whilst the oven is preheating you could coat the burgers. Spread the sesame seeds/breadcrumbs etc out onto a plate. Press the burgers into the sesame seeds/breadcrumbs to coat them. Once the burgers are covered on each side place them onto a lightly greased baking tray. Pop them in the oven and cook for 25-30 minutes, turning halfway through. Serve in a bun with your favourite burger sides! They’re so easy to make!! We’re big sweet potato fans too!